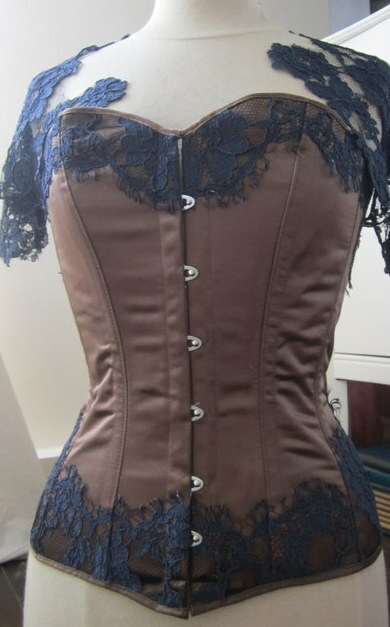 Chocolate Brown Duchess Silk / Satin with Midnight Blue silk lace top and bottom. The lace shrug can be worn on top for modesty should you feel that way inclined. View of lace up back. 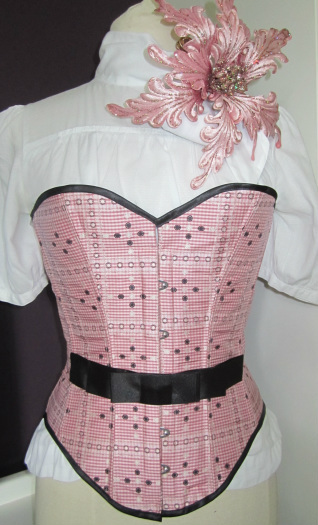 This corset is fully backed with coutil, has 12 S shaped flexible steel bones, a front fastening busk and lace up back. 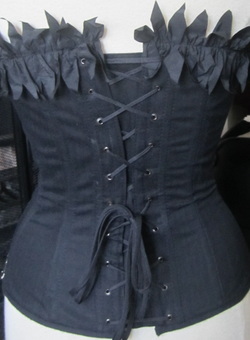 Black coutil corset with appliqued gold lace and fringing across the bust and back. 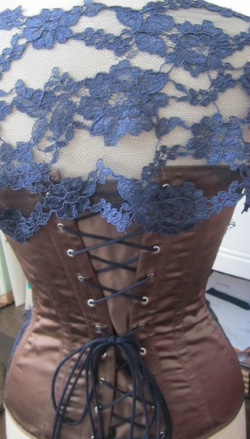 View of lace up back. 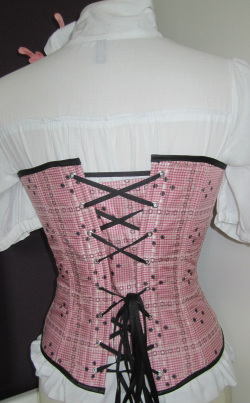 This corset has 14 S shaped flexible steel bones, a front fastening busk and lace up back. An alternative to Catholic Guilt retaining the same shape and trimmings but using Red Satin and a Gold Busk on the front. "The Joanie" named after the curvaceous Joan Holloway in Madmen. Aptly so because the bust line is quite low cut and the 1950s style bow across the front. This is made from a silk jacquard gingham print with gold, cream and black threads.